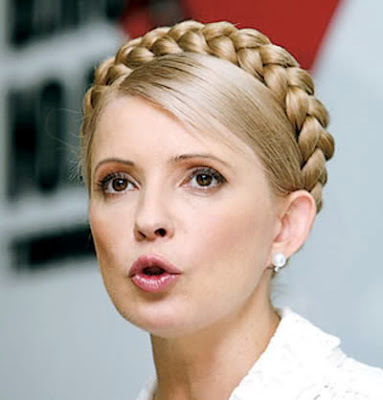 NEW YORK, USA -- The United States again expressed concern about democracy and rule of law in Ukraine after a Kiev court of appeals upheld the conviction of opposition leader Yulia Tymoshenko. Yulia Tymoshenko may be moved to a provincial jail. The U.S. urged the Ukrainian authorities to release Tymoshenko and other opposition figures currently kept in jail to allow them to participate in upcoming elections in October 2012. “The United States was disappointed that the Kiev Court of Appeals upheld the conviction of former prime minister Yulia Tymoshenko on December 23rd and did not address concerns about democracy and rule of law raised in the initial trial and sentencing,” State Department deputy spokesman Mark Toner said at a briefing on Tuesday. “We urge the Government of Ukraine to free Mrs. Tymoshenko and the other former government officials currently in detention,” Toner said. The U.S. and the European Union have sharply criticized Tymoshenko’s imprisonment as politically motivated and demanded her release. The EU last week refused to sign a key partnership deal with Kiev over the Tymoshenko case. Yanukovych, Tymoshenko’s longtime foe, said the courts and law enforcement agencies were independent and he would not intervene. Tymoshenko has spent more than four months in a Kiev jail after being charged with contempt of court during her trial. She claims to have developed severe back and skin problems while in custody and accuses the authorities of denying her proper medical care. Prosecutors spokesman Yuriy Boychenko said it was unclear whether Tymoshenko would now be sent to a provincial prison to serve her term or would remain in Kiev while a separate case that has been opened against her is investigated.